Petrol in Delhi now costs Rs 68.38 a litre, down from Rs 70.88. A litre of diesel now comes for Rs 56.89 as against Rs 59.14 previously. New Delhi: A cut of up to Rs 2.5 per litre in petrol and diesel prices notwithstanding, auto fuel rates in India are about twice the Singapore benchmark with taxes accounting for nearly half the current rates, Moody's Investors Service said on Friday. The government earlier this week cut excise duty by Rs 2 per litre as part of its efforts to reduce the prices of petrol and diesel. Petrol in Delhi now costs Rs 68.38 a litre, down from Rs 70.88. A litre of diesel now comes for Rs 56.89 as against Rs 59.14 previously. "The retail selling prices of petrol and diesel in India even after the reduction is approximately 2.5 and 2 times that of Singapore benchmark prices respectively. As much as 42-50 per cent of the retail selling prices will continue to go to the government as taxes," it said. Falling retail prices could stimulate demand for petrol and diesel in India, which will be credit positive for oil marketing companies as it will result in higher earnings. Even though the consumption of petroleum products continues to grow, the rate of growth has slowed considerably from fiscal year 2016 when prices were at their lowest, it said. "We expect international prices to stay near current levels for the rest of the year as demand for heating oil in the coming winter months will be compensated by the return of refining capacity that was disrupted by Hurricane Harvey in North America." "Hence more price falls will only be possible through further reductions in the tax component of prices. Rupee depreciation could be another source of price increase that may need to be compensated by the reduction in taxes," Moody's said. In 2016-17, the government got 23 per cent of its revenue from the oil and gas sector. "Therefore there is limited flexibility for the government to reduce taxes further if it were to maintain its fiscal discipline. If prices rise, that would hurt demand growth, which would be credit negative for the oil-marketing companies," it said. 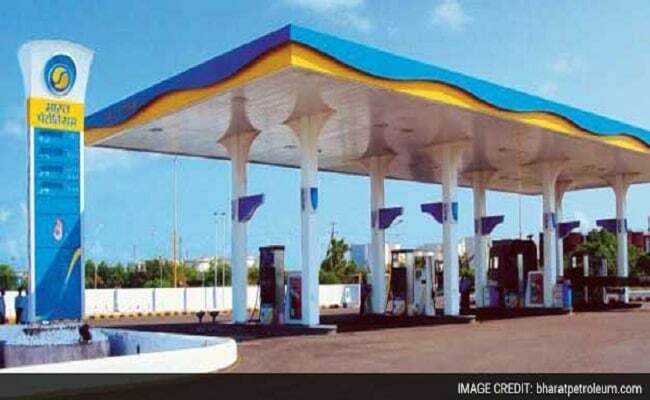 Moody's said the cut in excise duty on petrol and diesel will have no impact on the profitability of the three fuel retailers - Indian Oil (IOC), Bharat Petroleum (BPCL) and Hindustan Petroleum (HPCL) - as they pass on any change in tax rates to consumers. "There will be a marginal reduction in working-capital requirements of about Rs 20,000-25,000 crore (combined for all three) as the refiners pay excise duty to the government ahead of its recovery from consumers," it said, commenting on Rs 2 per litre cut in excise duty on petrol and diesel. Retail selling prices have been increasing since July 2017 in line with the rise in international oil prices and had reach near record highs. Wednesday's excise-duty reduction has brought down the retail selling prices of petrol and diesel by more than the excise-duty cut of Rs 2 per litre because the value-added tax (VAT) levied by the respective state governments are ad valorem taxes on fuel prices which include the excise-duty amount. In Delhi, petrol price fell by Rs 2.5 per litre and diesel by Rs 2.35. Prior to the cut that was effected from Wednesday, the excise duty on petrol and diesel was Rs 21.48 per litre and Rs 17.33 per litre respectively. Moody's said despite the decline in international prices of petrol and diesel since 2014, retail selling prices of petrol and diesel have stayed high in India as the government mopped up most of the reduction in international prices by increasing the excise duty.